The Words of Comandante Javier, welcoming the Ayotzinapa Caravan to the Caracol of Oventik, November 15, 2014. A very good afternoon to everyone. 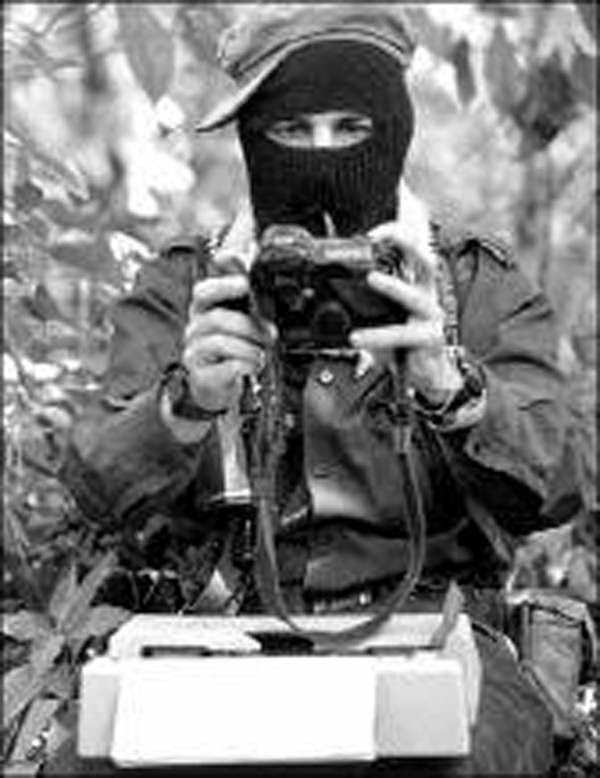 In the name of our thousands of compañero and compañera bases of support from the Zapatista Army for National Liberation, we warmly welcome you to this humble centre Caracol II of Oventik, Resistance and Rebellion for Humanity, in the Highlands Zone of Chiapas, Mexico. Those of us present here are representatives of our Zapatista communities, and we receive you with open arms in order to listen to your words. Know that you are not alone! That your pain is our pain! That your rage is our dignified rage! And that with our actions we support the demand that the 43 students, disappeared by the bad governments’ criminal acts, be returned alive. May you feel at home here, because this place is home to all who struggle.